London has two great Old Master exhibitions closing this week, the Moroni exhibition at the Royal Academy and the Rembrandt late works at the National Gallery. With Moroni we have the great portraitist of the Renaissance anticipating the realistic style of Caravaggio and later Manet; and Rembrandt, the undisputed star of the 17th century Dutch art scene. 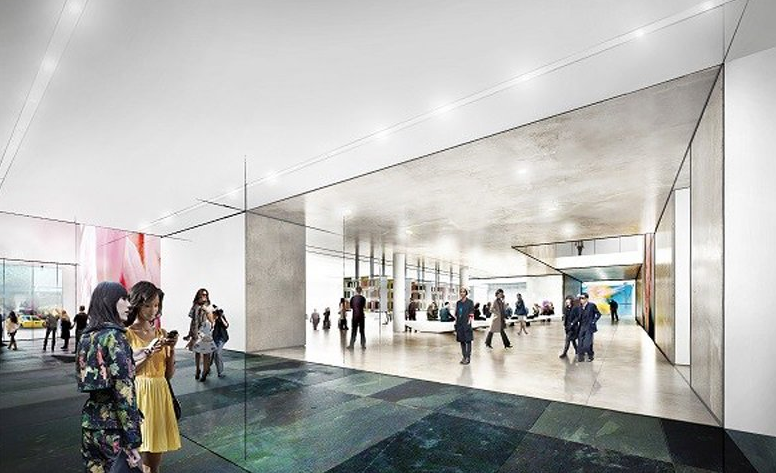 Last week MoMA announced its new expansion plans which is basically adding more space by razing the adjacent old building of the Folk Art Museum (purchased by MoMA in 2011), and criticism is coming from both sides of the Atlantic. Michael Kimmelman of the New York Times criticised the plan calling it "lacking vision" while Los Angeles Times Archicture critic Christopher Hawthorne explains the facts and reasoning behind this expansion, but concludes "The great irony of this plan, as with so many recent museum expansions, is that out of frustration with its packed galleries MoMA has decided to raise hundreds of millions of dollars to build more of the same." If you remember, MoMA had a big expansion just back in 2002 which had the museum move to Queens temporarily until it was re-opened to the public in September 2004. There were critics of that expansion too and the Guardian's Michael Wolf tells you why he thinks "...it is really too late for MoMA. The damage is done. Glenn D Lowry is the villain of the piece" because "The intimate, jewel-like space has become a standard-issue institutional structure, more suited to a corporate headquarters in Los Angeles or Dallas." Read the rest of his article here. Tonight is the opening of the Turkish-born artist Canan Tolon's first major London show at Parasol Unit. Dividing her time between San Francisco and Istanbul, Tolon's work is based on and deals with space, time, gravity, and chance interactions between disparate materials. She had an early interest in the marks left by the processes of growth and transformation over time which led to her using unusual techniques such as applying coffee grounds, letting grass grow on a canvas, or allowing rust to occur naturally and mix with pigment in her paintings. This exhibition also coincides with the British Museum's recent acquisition of a set of Tolon's drawings, Futur imparfait, 1986–1999, a series of 33 ink-wash and crayon figurative drawings. Since 2009, the British Museum has an active acquisitions committee for Modern and Contemporary Art from the Middle East since 1980s, CaMMEA. This patrons group has joined forces with the Turkish SAHA Association that provides funding to projects and museum acquisitions which contribute to the presence and visibility of contemporary art from Turkey. There is a good educational program alongside the show as well with talks, poetry and concerts. Spanning over Tolon's career from the 1980s until present day, this show promises to be an interesting one to visit. 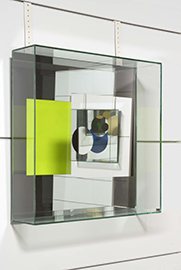 It is on view until 16th of March 2014. 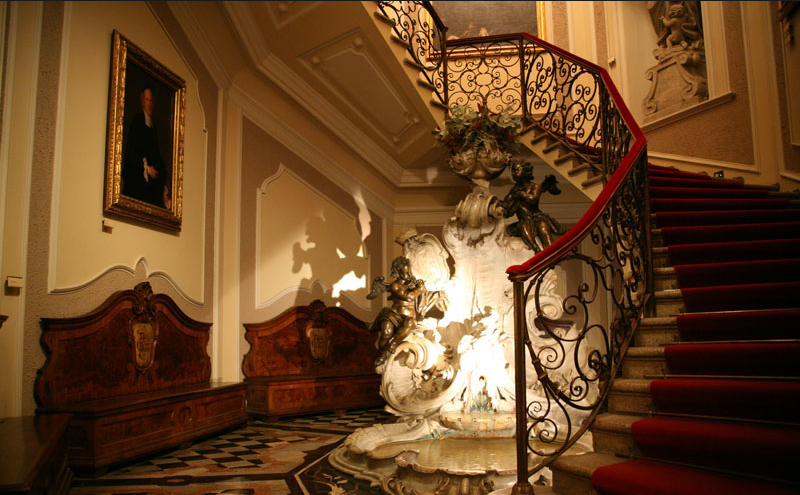 Come and discover one of hidden gems in Milan: Poldi Pezzoli Museum. 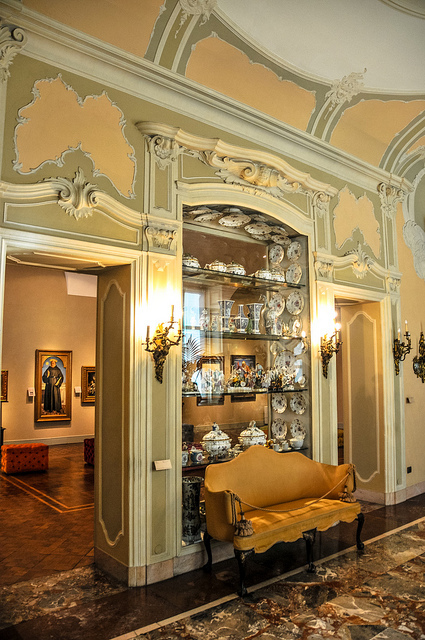 This extraordinary 'secret' museum is a few meters away from the famous Teatro alla Scala and full of Renaissance paintings and other treasures, all displayed in a beautiful domestic setting. The museum was the former home of the Milanese nobleman Gian Giacomo Poldi Pezzoli, who died in 1879 and donated his home and collection for public use and benefit. Similar to the Frick Collection in New York, the Isabella Stewart Gardner in Boston, or the Musee Jacquemart-Andre in Paris. 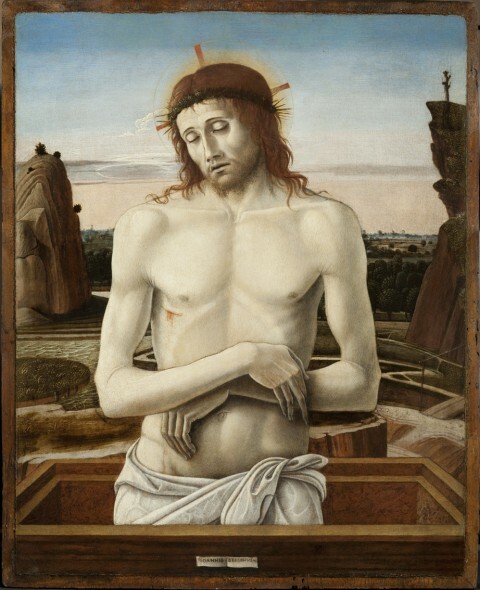 Here you will see masterpieces by Botticelli, Mantegna, Pollaiolo and sculptures, arms and armour, jewels, porcelains, lace, glass, furniture --- list goes on! 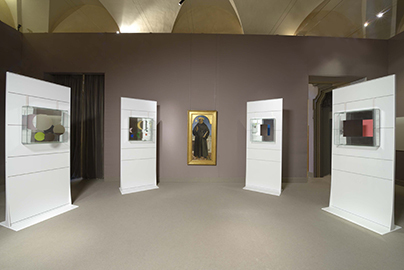 Amongst the highlights are the stunning "Madonna of the Book" by Florentine master Botticelli, "Imago Pietatis" by Giovanni Bellini, Piero della Francesca's monumental "St. Nicholas of Tolentino" and finally the symbol of the museum; "Portrait of a Woman" by Piero del Pollaiolo. The museum also holds interesting exhibitions with contemporary art works. A recent show was "Symbols and geometry in Piero della Francesca: A reading of Chiara Dynys" which gave focus to Francesca's "St. Nicholas of Tolentino." This Renaissance work represents the saint in hieratic position that raises the index upwards in the direction of the stars and the sky which inspired the contemporary artist Chiara Dynys to create a dialogue between ancient and modern alchemy, particularly because Francesca was a mathematician as well as a painter. So next time in Milan, remember to make a stop at this little gem.